The RV Geo Resolution is the latest addition to the EGS fleet. 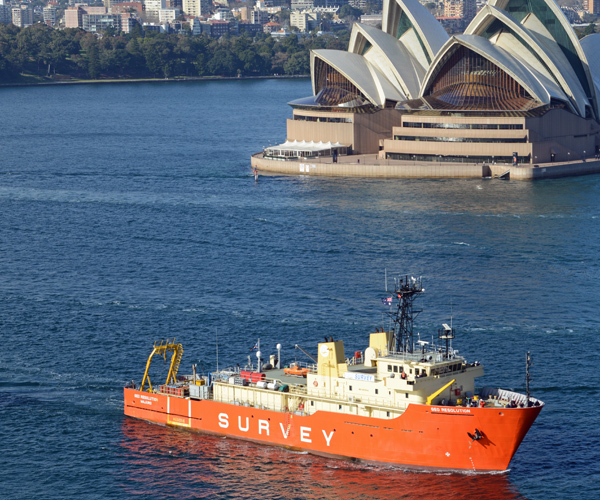 Before her acquisition by EGS in 2014, the 68m long and 13m wide vessel was an US and later New Zealand Navy hydrographic survey vessel and as such is a comfortable an acoustically very quiet survey platform. During her conversion to a commercial survey vessel in Singapore, EGS have fitted the vessel with a dual frequency (24kHz/12kHz) Reson Seabat 7150-F full ocean depth multibeam system and a geophysical equipment suite capable to acquire high resolution analogue geophysical and in-situ geotechnical data to 2000m water depth.